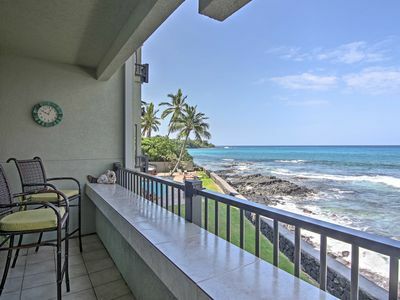 Kona Condo - Ocean Front Complex - Great Ocean & Beach View!!! 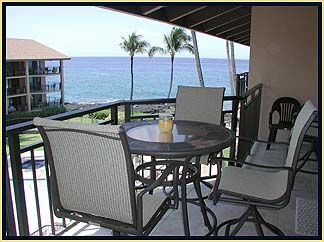 Thanks for your inquiry on our Kona Condo. 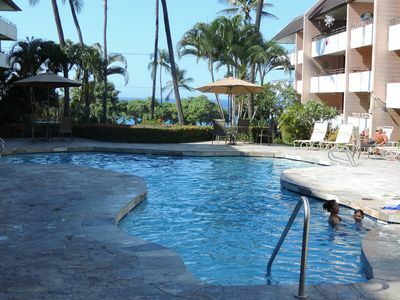 Our unit, B25, is a comfortable one bedroom, one bath unit that is located on the 3rd floor of the Oceanfront Kona Reef Complex. 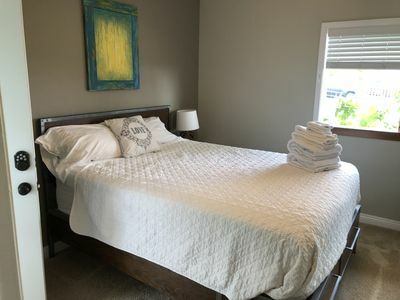 Be sure to check the 360 video tour to see the features and a complete tour of this lovely unit. 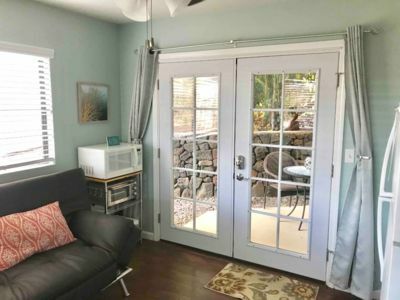 The link is the arrow or partial image to the left of the main picture above. 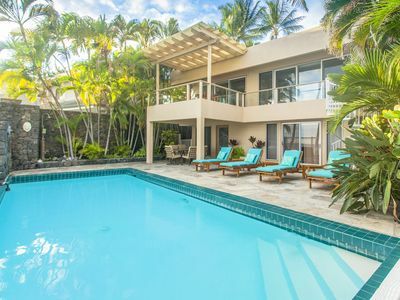 The complex offers an oceanfront swimming pool, spa and direct access to the beach plus a great common-area barbeque. 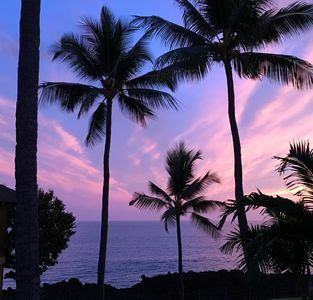 Great place for sunsets!! 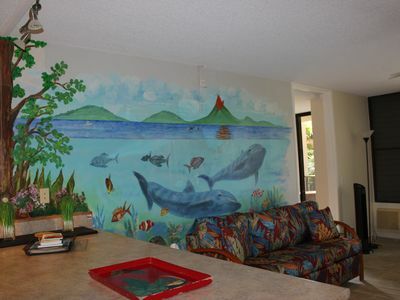 The living room has a queen sofa sleeper, stereo/TV/DVD/VCR/cable, and access to a lanai with great ocean views. 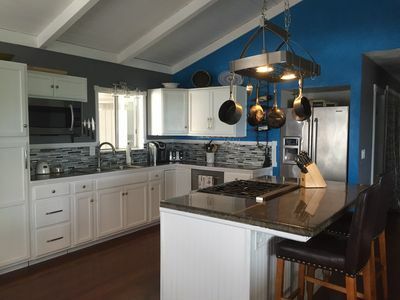 There is a full bath with tub and complete kitchen with microwave, coffee maker, toaster, and all other utensils. 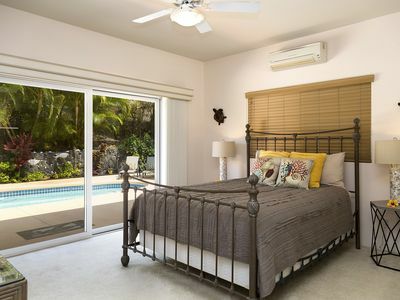 A washer/dryer and air conditioner are in the unit also. 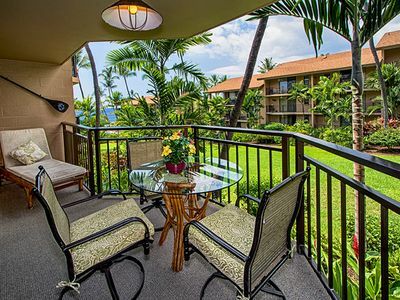 The condo is approximate 3/4 mile from Kailua-Kona and shopping, and less than 10 minutes from two of the Island's best beaches including, Magic Sands Beach and Kahaluu Beach Park, which offers some of the best snorkeling available on the Island. We frequently walk into town for coffee and restaurants. 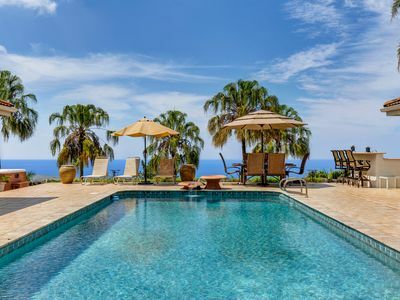 If you have not been to Kona before we suggest that you get a copy of the book we mention on our web page Hawaii The Big Island Revealed – The Ultimate Guidebook” We call this “THE GOOD BOOK” – it is always accurate and provides a wide variety of Island experience options – be sure to look for the “Real Gems”. 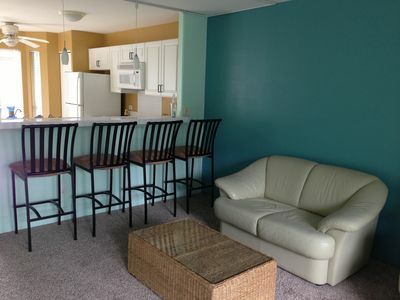 We know you'll enjoy our condo as much as we do. 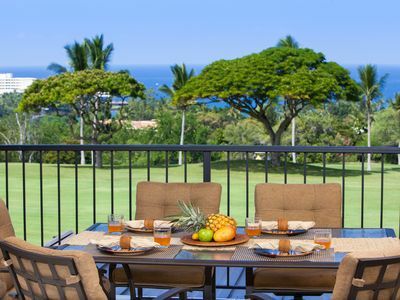 If you need multiple units, or need to check availability on another of our Kona Reef Condos, let us know. 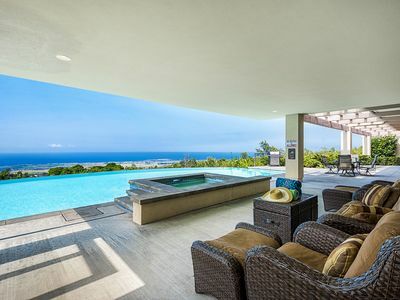 We have two bedroom units, ocean view and ocean front units available. 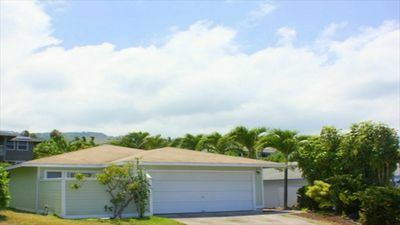 Kailua-Kona Condo w/Private Ocean-View Lanai! 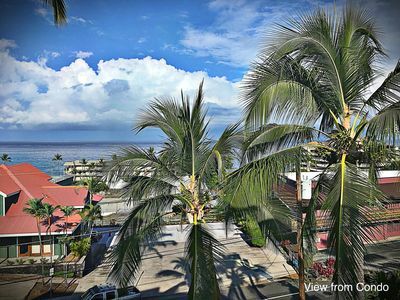 Oceanfront Kailua-Kona Condo w/Balcony + Pool! 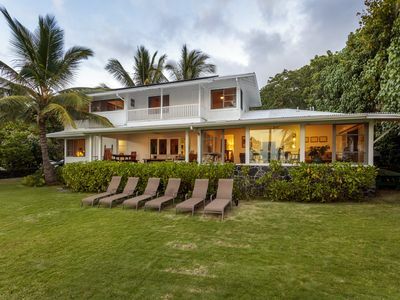 Luxury oceanfront Villa at Alli point with private Pool , 5 star history ! 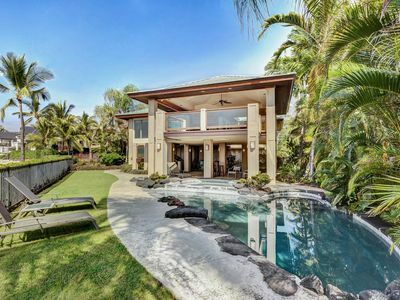 Tropical Oasis Hale with private pool and panoramic oceanviews! 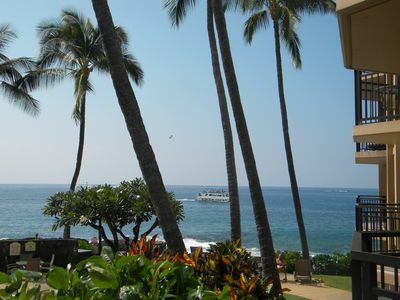 Aloha Spirit! 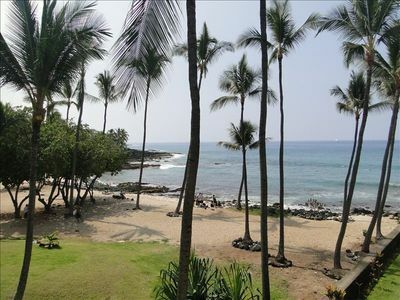 Only 2 mi from Kona & 1/2 mile walk to the shoreline!